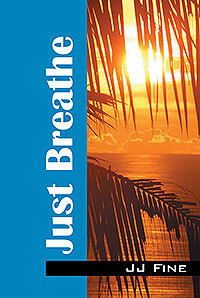 JJ Fine’s “Just Breathe.” Kyle Matthews knows all too well about second chances. She meets Trevor Michaels and she realizes he may be the last true chance she wants to make. Both successful in their own right and sure of themselves that they don’t need anyone else. Meeting Trevor ignites a fire in Kyle. When their pasts collide with their future, will their desire for one another be enough to hold them together?